The Atlantica Undersea Colony Expeditions accomplished its first mission on Saturday with a bathymetric survey of a potential site for the world record breaking underwater mission scheduled in April 2009. 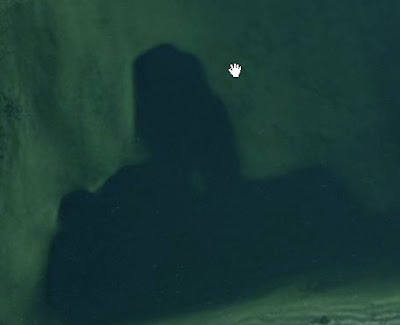 Shown here is a satellite view of the potential site surveyed by the Atlantica Team. According to Expeditions Leader Dennis Chamberland, no definite conclusions have been made about the site dubbed POLARIS A, that this first expedition was as much a team and equipment shakedown cruise as anything else. Show here is team member Eric M. Chamberland, a certified Aquanaut and teammember, during the survey mission.